A beautifully colored manicure on your nails can make you feel like a million bucks and it is the least expensive way to freshen up your look. 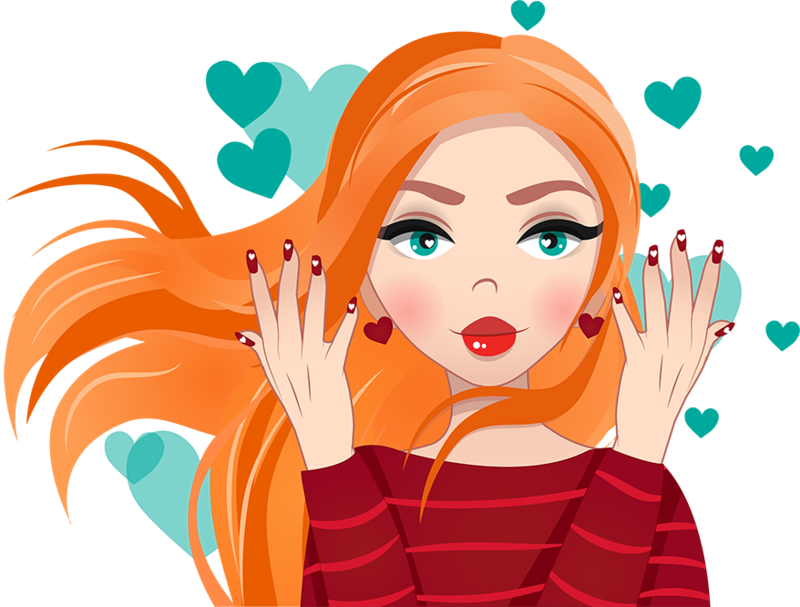 Nail colors come in so many different shades that it is very easy to pick a different one for every week,especially if you are doing them yourself. With all of the information and equipment on the market, giving yourself a professional manicure and glaze is easier than ever. Let's do a China Glaze Gelaze Review, and hopefully you will find all you need here. Whether you are dressing up to go out on the town or going to a formal job interview, you can pick any shade that will be appropriate for your outfit and the occasion. The seasons will also dictate the shades you may decide to wear. 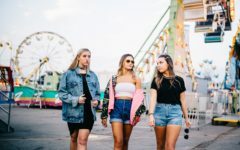 Spending time at the beach in the hot sun usually inspires neon colors in blues, yellows and pinks, while winter colors generally tend to be a bit darker and edgier. The best types of nail polish will go on smooth and last for longer than a week without chipping. One of the most successful nail polish companies on the market is China Glaze. They have a full line of colors in crèmes, glitters and shimmers to satisfy any mood you are in. The quality of the polish is exceptional and highly rated, and their new Gelaze Gel Polish formula has taken glazed polish to a whole new level. Gelaze colors are a unique mixture of base coat and glaze and have been proved to last up to 10 days without chipping or breaking. Once cured, which only takes about 30 seconds, this polish will give you a beautiful vibrant color that will have heads turning and will protect even the thinnest of nails. This formula comes in 49 different colors to choose from and there are several websites that will have China Glaze Gelaze swatches available for you to choose from. There are certain things to consider when looking at which Gelaze China Glaze is best for you. China Glaze carries three primary types of Gelaze gel nail polish; shimmers, glitters and crèmes. Shimmery colors like the Glaze Exceptionally Gifted Gelaze Gel n’ base polish is very striking when applied in several coats. The shimmery aspect of it gives the polish a slightly different color when you move your hands or the light hits it in a certain way. The color almost moves in waves and really catches the eye when worn in a dark shade. Shimmers are best worn when you are going out on the town or to a fancy party where you can really make a statement with the clothes you are wearing and your gorgeous nail color. Glitter polish like the Gelaze Fairy Dust Gel n’Base is a fun look to have when you are going out with friends. This type of polish usually comes in a light or clear color dotted with glitter on the inside of the bottle. The glitters are great to wear alone if you just want a nice finish to your plain nails or over top of another color to give it that extra sparkle. Cremes like the Gelaze Flip-flop Fantasy Gel n’ Base creates a beautiful matte finish that looks professionally done with clean lines and less shine. The pink colors are great for summer entertaining or hanging out on the beach with friends. The crèmes are definitely what I would recommend for a formal occasion where you are meeting with clients or a job interview. A subdued color in a crème will blend in with a conservative outfit or dress and will look classy and elegant. If you are doing your own nails with this product, then there are some tips on how to use Gelaze nail polish that you may find helpful. The following will take you from applying the polish to removing it quickly, easily and with little damage to your nail. Preparation is the key when applying your first coat of polish. You want to make sure you follow these Gelaze nail polish instructions so your application is smooth and flawless. Give yourself a dry manicure and make sure that your nails are buffed well so do not have any shine to them. Apply one coat of the polish and cure for 30 seconds. Depending on the color you are using, you will want to do this two or three more times. Curing means to put your nails under a UV/Led light that will seal the polish. 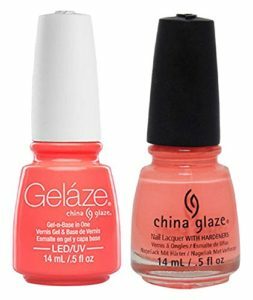 Apply your China Glaze Gelaze top coat after applying your color to your satisfaction and cure for another 30 seconds if using UV. LED lights may take longer for curing, so check the instruction manual before you start using. Wipe the nails with Gelaze Pre-Soaked Gel Cleanser to remove any sticky residue. You are now ready to enjoy chip-free beautiful color for up to 10 days. Make sure to shake the bottle well before you start to apply. Apply the polish in thin coats so there is no clumping and it is even. ​Ensure the nail is dry after you prep it before applying polish. ​Make sure your cuticle is clean before you apply and cure the polish. Clean around the nail immediately if there is any pooling or smudging before you cure. Anyone who has ever used glaze on their nails knows how difficult it is to remove. Follow these simple steps to make the job a lot easier and save the trip to the nail salon. Break the sealed gel on your nail with a nail file. Douse a Gelaze Professional Gel and Nail Polish Remover Wrap with Gelaze nail polish remover and wrap the whole thing around the nail. Do this for each nail. Use a small bamboo skewer or cuticle stick to loosen and remove the gel from your nails. Use some cleanser on your nails to get rid of any residue. The following is a Gelaze Gel Polish review of the top 10 rated China Glaze Gelaze colors on the market. These are products found on Amazon and rated based on consumer ratings of actual users of the products. I personally bought 2 of them to try out, the Exceptionally Gifted, and Fairy Dust. 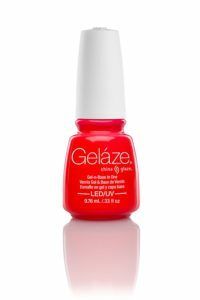 This previously mentioned polish is a popular purchase on Amazon and other sites that sell Gelaze nail glaze. This color looks great when applied over top of a darker color, giving the existing polish a sparkly look that is fun and modern. Some suggestions on colors to pair Fairy Dust with are the creme neon colors if you want to give your summer look a little extra sparkle or the matte white to be a little more conservative but still playful. The Fairy Dust can also be added to just the tips of a darker burgundy for a really edgy look. This shimmery pink will look great with any business attire or out for a bridal shower or wedding. The color is soft and pretty, but the shimmer gives it enough of an edge that you can wear it out for drinks with friends. This polish is often paired with Gelaze White on White polish for creating unique designs or French tips. It is also purchased with a top coat to seal the color in and make it chip-free. The top coat is used after you have already applied and cured the color you want. This gives the nail that extra strength to prevent chipping or breaking, especially in thinner nails. The top coat also gives the color a finished professional look, especially in the mattes that tend to go on a little duller. This color is a gorgeous corral creme that really stands out when worn on tanned skin with a bikini or a summer dress with shades of the same color. Try it on your toes as well so your feet really pop in those beautiful high heeled sandals you are wearing out on the patio. This color goes well with a silver sparkle tip design to dress it up a little and give it an edgier look for going out in the evening. When you want to make a statement, Lubu Heels is the color you want to be wearing. This sparkly polish is a dark cherry color that goes on the nail looking slick and dangerous. It is best to put on more than 2 coats if you want the full effect of this polish because it doesn’t look as dramatic if you can see through it. Pairing it with a silver glitter design on the tips can really enhance the bold color of this glaze and really make it pop. You will definitely be turning heads wearing this shade. This is one of the most daring of polishes produced by China Glaze. The pure white polish mixed in with multicolored chips of sparkle goes on funky and professional looking. You will definitely want to put some white on white before adding the coats of glitter so you get the full effect of this color. Keep adding on layers and curing until you get the desired effect. It might take a little longer to remove the color, but the compliments you get while wearing it is well worth it. This nail polish is great for when you go to club with black lights because of the awesome glow that will come off of your hands. Nothing says summer like the neon nail polish you see decorating tanned hands in orange, green, blue and pink. The neon nail color is a sign that pools and beaches are open for business and everyone is enjoying the hot sun. You will definitely want to make sure you add enough coats to make these crème colors completely solid because the effect will be lost if you can see through them. Pair them with some nail art done in techno glitter or fairy dust for a summer evening look on the patio. This color is perfect to create nail art or French tips. The bright white finish complements any vibrant Gelaze color and creates a perfect base underneath some matte colors so they really pop. Try wearing this shade as a base coat and then decorating your nail in any patterns you want on top. This polish goes great with any deep glittery color or silver and gold. In the past, nail art was something that you always went to the salon to get from a professional and only for special occasions. With Gelaze, you are able to express your own individuality in any color you want easily by using some of the tips you can find online. Nail art ranges from a dazzling splash of color on the tips of a white nail or sparkly geometric shapes that speak to your personality. 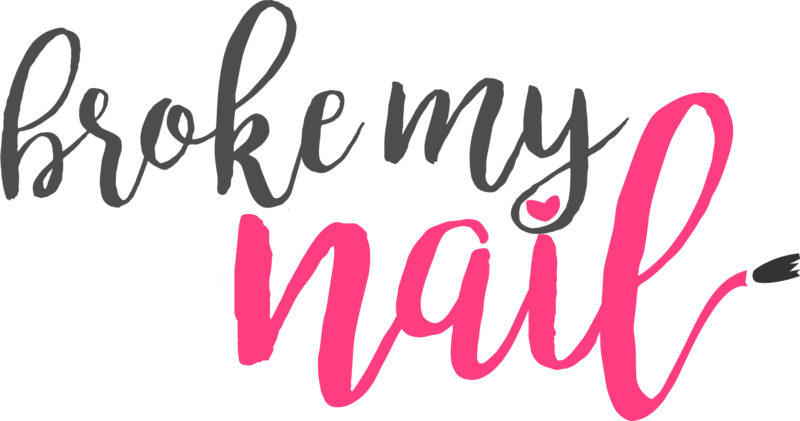 There are numerous courses and YouTube videos that can give you the necessary skills to create dazzling nails for yourself and for friends. After doing some research on other Gelaze Gel polish reviews, I notice that there were some frequently asked questions about where to purchase China Glaze Gelaze colors and also how to use glaze. Please take a look and see if these answer any questions you may have. Where can I purchase China Glaze Gelaze products? This product can be purchased online at different dealer sites including Amazon.com. You should also be able to buy them at your local beauty supply store or drug store that sells beauty products. 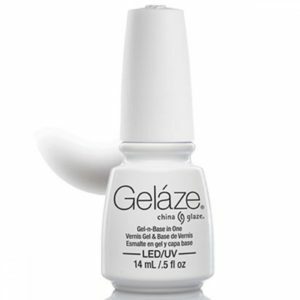 Gelaze is a patented system developed by China Glaze which combines the base coat and gel in one bottle. This means that you no longer have the additional step of adding and curing the base coat before putting the color on. This gel system also means the color will go on stronger and remain chip-free for up to 10 days. 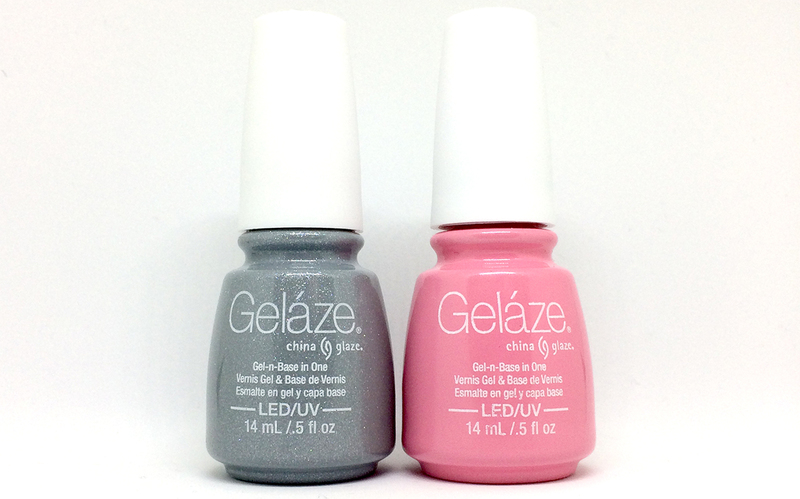 Gelaze works just like regular nail glaze in application without the need for a base coat. Once you apply the color, cure under a UV or Led light and keep applying until you get the desired effect. How is Gelaze different from other glazes? Gelaze has a unique combination in every bottle that saves you time and also creates a stronger finish than most other glazes. You also need to apply a base coat with other glazes which Gelaze includes in the bottle. Gelaze comes in 49 beautiful and vibrant colors. The primary types of colors you will find are cremes, shimmers and glitters and you are also able to mix and match colors to create professional looking nail art. Color palates for Gelaze can be found by doing a simple Google search online and run the gamut from clear to the darker dramatic shades. 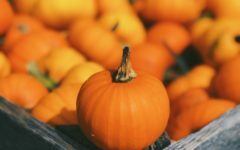 How much does Gelaze cost? There are two different sizes of bottle available for purchase. .5 fluid ounces can cost anywhere from $10 - $15 depending on where you buy it. .33 fluid ounces can run anywhere from $7 - $10. These prices do not include shipping or taxes. What is the best way to get my nails ready for application? 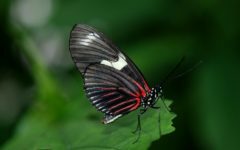 There are many different techniques you can find online, but they don’t vary too much from these simple steps. Give yourself a dry manicure and file the tops of the nails there is no shine. Cleanse the nail and dry before applying your first coat. Shake the bottle vigorously before applying. Cure each coat separately until you reach the desired color. Then apply top coat and cure. Cleanse the nails individually so there is no leftover residue. My gel is not hardening, what should I do? Your UV lamp bulb may be old or dirty so it won’t be working at maximum capacity if at all. Try cleaning the bulb to see if that helps the problem. If it is still not hardening, then replace the bulb. Try to replace the bulb every 6-12 months or after 3000 hours of use. The gel is too runny, what should I do? The gel may be too warm, so it is not thickening. Let the gel cool until it reaches room temperature. The gel will not level, how can I fix that? The gel might be too cold, in which case you need to warm it up a little bit. You can let it stand until it reaches room temperature, or put it in some warm water until it reaches the desired consistency. The gel is peeling/lifting off of my nail, how can I prevent that from happening? This is usually an indication that the gel has not hardened when it comes in contact with the nail or cuticle. Check the bulbs on your UV light to make sure they are working at maximum capacity. They can lose strength after 3000 hours of use or if the bulb is dirty. 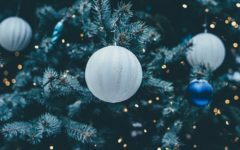 This is also an indication of improper nail preparation so make sure to follow the steps detailed in the body of this article on proper steps to take before application. My nails are dull and/or they feel sticky, what should I do? This will happen if the nail is not properly cleansed after the polish is applied. You can use Gelaze cleansing pads to clean each nail separately until they feel residue-free. I have pooling around my thumbs, how do I prevent that from happening? Curing your thumbs separately is always recommended to avoid this problem. As the gel only takes 30 seconds to cure, this shouldn’t be too much of a hassle. How do I take off my glaze? Make sure you break the seal on your nails using a nail file and then file them down until they no longer shine. Use Gelaze Professional Gel and Nail Polish Remover wraps that are completely saturated with remover and apply to each nail securely. Let them sit for 10-15 minutes and then remove. Using an orange stick or cuticle remover, carefully lift the dislodged gel from your nails. Use cleanser to clean any remaining residue. It is also a good idea to put oil on your nails to replenish the moisture that might be lost. Does gel polish damage my nails or make them thinner? As long you follow the proper technique for removing the gel from your nail, your nails should not experience any damage or weakening. Gel actually helps your nail get stronger by preventing any ripping or breaking, which helps them grow longer. Only use safe tools to remove the gel and use the removal kit that is made by China Glaze. Nails become weak when they are scraped or gauged during removal of gel, so never use sharp tools to remove your polish. If you can’t take the gel off easily after soaking your nails for 10-15 minutes, try keeping the wrap on for longer. How do you prevent “shrinkage”? If you find that the polish is shrinking back from the edges when you apply the polish, then make sure the bottle is shaken vigorously and is of the right temperature for application. I hope this Gelaze China Gelaze Review has given you some useful tips on how different colors work together and how to use glaze in the most effective and pleasing way possible. China Glaze products are raved about as an easy way to do your own nails without having to spend huge money on salons. Follow the tips and tricks section for applying your color to get just the right shade. You won’t need to ever go back to the nail salon to remove the polish when you use the Gelaze Professional Gel and Nail Polish Remover Wrap and remover. The small investment up front for the right colors and materials will save you in the long run when you can make your nails beautiful all on your own.